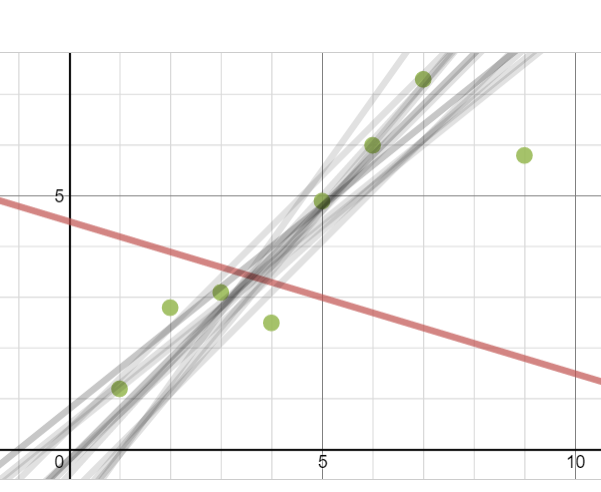 What do you mean by “edit a graph to use later”? For example, say you build a parabola with a draggable point tracing its path. 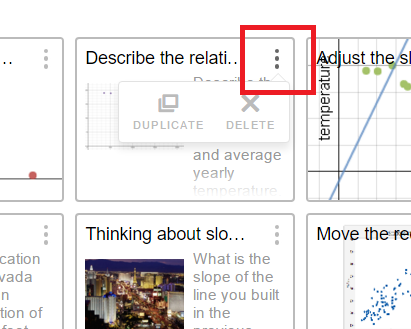 If you wanted to use that same graph you built later in the Activity, you could, rather than having to start from scratch. 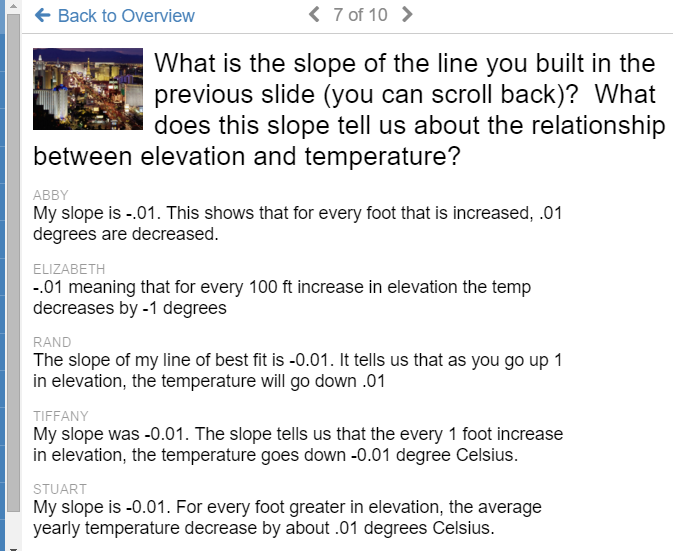 With the Desmos “use the sliders to move the line” activity the scales need to have comparable ranges, as in the example of height and temp a small change in m from -0.01 to -0.03 caused a dramatic jump in the position of the line. Standardizing (dirty word these days) the variables is best, but maybe too soon. putting height in units of 100ft would help a lot. 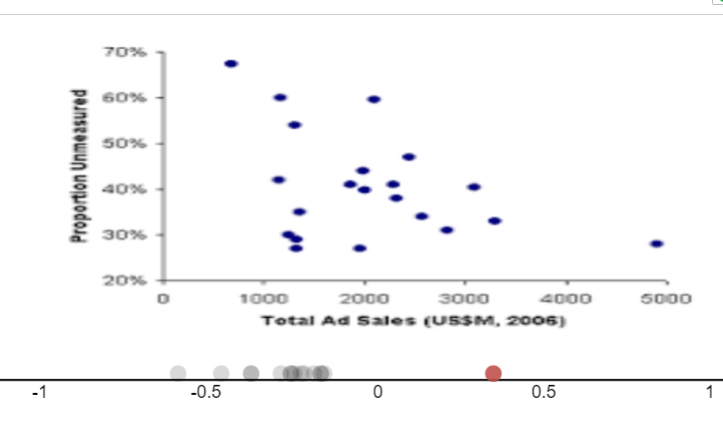 I also think that assessment of (guessing) correlation coefficients is much easier with standardized data. agreed. I learned for next time to use friendlier data sets. Kids had to zoon in/out to use the sliders effectively. I, also, found that explaining the purpose of my activity in advance and giving them some examples of what to look for made my exploration activity much more effective. They were having such fun making sinusoidal slinkys with the sliders that they totally missed the transformations they were supposed to be observing!